Facebook is considering making another set of changes to its data-use and user-rights policies, a move that the company positions as a clearer way to explain how Facebook uses member data. In the changes — which Facebook will present to users on Thursday for comment and amendment suggestions — a significant portion of the two policies has been rewritten, giving anyone willing to dive into the long, winding documents a better idea of just how much data Facebook has on us (a lot) and the many ways Facebook can use that data to make money (again, a lot). What you’ll likely be most interested in, however, is a small suggested update to Facebook’s photo-tagging product. Right now, when you upload photos to Facebook, the company uses facial-recognition software to suggest tags — the ability to name the people inside the picture — based on other photos uploaded to the network. 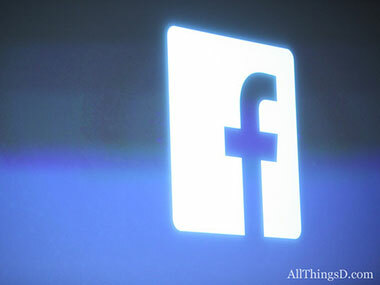 In Thursday’s proposed update, Facebook wants to go a little step further. The company will now use your main profile photo — the one you’ve specified to represent you on your page — as a key indicator to recognizing your face on Facebook. Part of this, I imagine, is to give Facebook a better sense of your overall user identity. If Facebook can keep track of when you pop up in photos uploaded by you and others, that’s a good way to trace your interactions across your network of friends: Who you’re spending time with, who you have the most in common with, who are your actual, real-world friends and not just Facebook friends. Which is a totally fair point. After all, anyone and everyone is able to be tagged in photos uploaded to Facebook. In that vein, it’s helpful to know when your mug is being plastered to the network (especially if it’s in an “unsavory” photo). And if you don’t like any of the new facial-recognition stuff, you can opt out via your settings page (though some may be annoyed that it’s going to be automatically on for everyone who hasn’t ever tweaked their tagging settings). The feature is also unavailable in Europe, due to regulatory statutes. Still, the move, along with Facebook’s further fleshing-out of its privacy policies, is another reminder of the myriad ways the company collects data about your actions across the network. That includes information you may hand over about your phone number, your phone’s operating system, your address, and any number of other points that can help build a fuller profile of your user identity. “We want to be really, really clear that whenever you give us information, we’re going to take it,” Egan said, speaking about the many ways users provide informations about themselves through actions they take on Facebook. The company records the IP address you used to access the site, for example, or your address and credit card information when sending a Gift to another user on the network. Egan made clear that the company has always received this sort of information from its users, but is now making that much more upfront in its statement of user rights and data policies. None of this, of course, should be a surprise. Facebook is a data-collection powerhouse, one of the world’s most effective ways to study online human interactions and behaviors. It’s only natural that the company wants to know as much as it can about the users that make it up. What isn’t good for Facebook, however, is the seemingly semiannual privacy scares from the public, the user outrage often spurred by the company’s most recent tweaks. At least part of the hope here is to spell out much of what Facebook does with your data, in clearer language. Also, it’s worth noting that much of the ad-language update comes as a result of a class-action lawsuit Facebook recently settled, where the company agreed to pay out $20 million and revise its terms of service to assuage concerns by users who weren’t aware of all the ways Facebook used their data in advertising. Facebook will post the proposed languages to its privacy blog, asking for user comments and feedback before making the changes to its policies. It will also send out emails to all users across the network. So let this be a reminder for the next time you’re stirred by a network update that raises your privacy hackles: Facebook may be a free service, but one way or another, you’re still paying for it. Updated 1:28 p.m. PST with context around data collection practices.